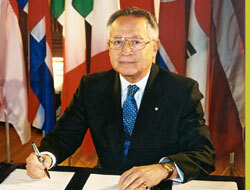 Efthimios Mitropoulos has called on member governments to endorse sweeping action to reduce greenhouse gas emissions. Mr Mitropoulos: ?I don"t want shipping to lag. I want us to deal with greenhouse gas emissions at the same pace as the rest of the world.? 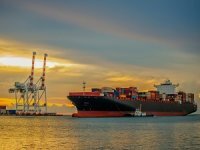 International Maritime Organization secretary-general Efthimios Mitropoulos has called on member governments to endorse sweeping action to reduce greenhouse gas emissions from shipping. Mr Mitropoulos said: ?I don"t want shipping to lag. I want us to deal with greenhouse gas emissions at the same pace as the rest of the world.? 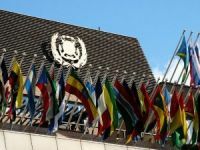 Mr Hammer Hansen warned that the IMO risks undermining its authority as shipping"s prime regulator if it does not move swiftly and effectively to find solutions to the challenge. ?He is right,? Mr Mitropoulos said. 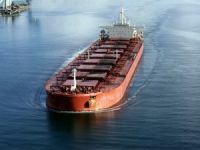 He added that while discusions on a new energy-efficient design index for ships were progressing, he was concerned at the slow pace of deliberations on market-based mechanisms such as levies on bunkers and emissions trading. ?It is not an easy issue, because it has political connotations,? he said. ?It may take some time to bring 168 governments, not all of which are at the same level of development as Europe, to accept the sacrifices we all have to accept.? 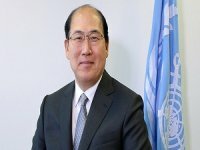 All the same, he said he would go to next year"s UN climate talks in Copenhagen with two core objectives: to keep the issue of limiting or reducing greenhouse gas emissions in shipping with the IMO; and applying what the IMO decides to all ships, irrespective of the flag they fly. ?I would not like to have a situation like we have with the Kyoto agreement, where only 25% of the world fleet complies,? he said. 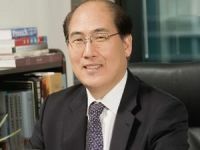 At the same time, he strongly defended the industry"s environmental record. ?I hear people say shipping has "escaped scrutiny" or "slipped the net". I do not accept that at all.? 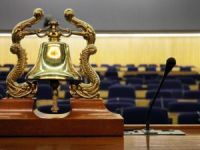 In wide-ranging discussions at a press conference in Genoa, Mr Mitropoulos also described piracy as a defining issue for the industry, not least because it represents the ultimate test of its commitment to its seafarers. There was an appreciation that eradicating piracy in the region would depend on the restoration of stability and the rule of law on the ground in Somalia. At the same time, noting that there had been 120 piracy incidents this year and that 14 ships and 280 seafarers remained in the hands of pirates, he believed that aggressive action could dramatically reduce the threat. In his address to the security council, he argued for an extension of resolution 1816 permitting naval intervention in Somali waters and the formulation of precise rules of engagement in such cases. He also called for the formulation of effective national legislation in affected states to bring pirates to justice. This would be a prime focus of a high-level regional meeting scheduled for Djibouti in January.